CPF Roofing Ltd - Fascia/Soffits/Guttering, Roofer based in Leigh-on-Sea, Essex. 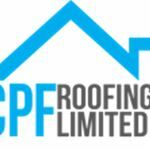 Hi I am Craig and I own CPF Roofing LTD. I have over 18 years’ experience having gained my experience in roofing since I left school. I pride myself on keeping my customers happy ensuring that my work is completed to the highest standards, whilst offering competitive pricing. I am very reliable, honest and trustworthy and you can be assured you will never be disappointed with my work. Please call me on 07388 592 717 so I can be of help.